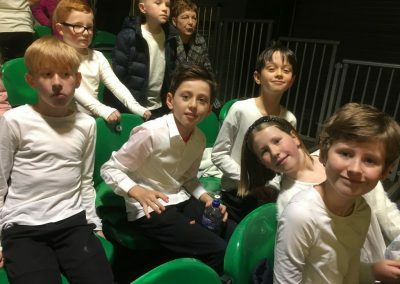 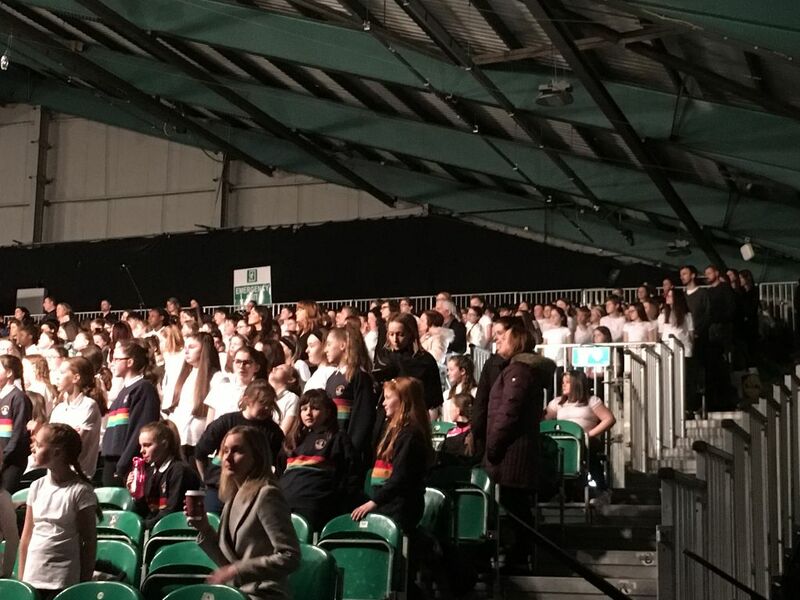 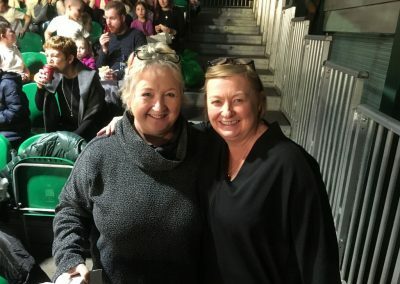 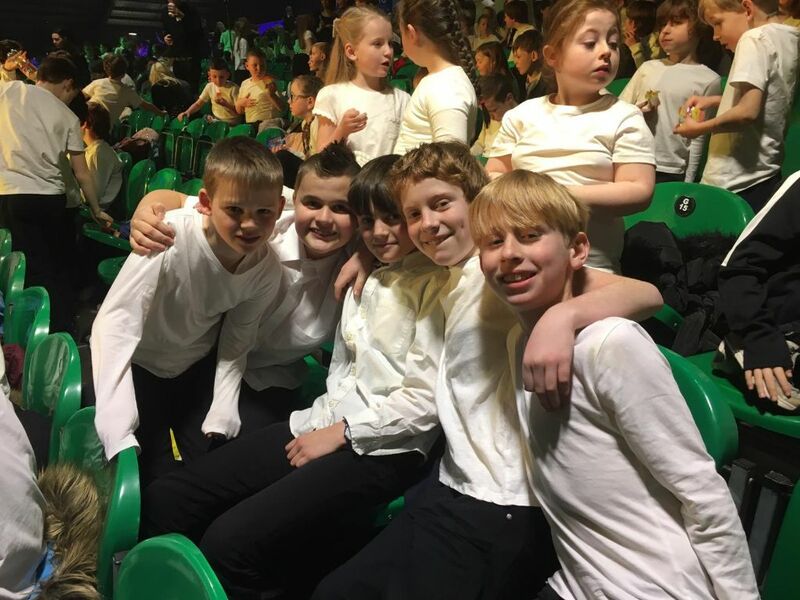 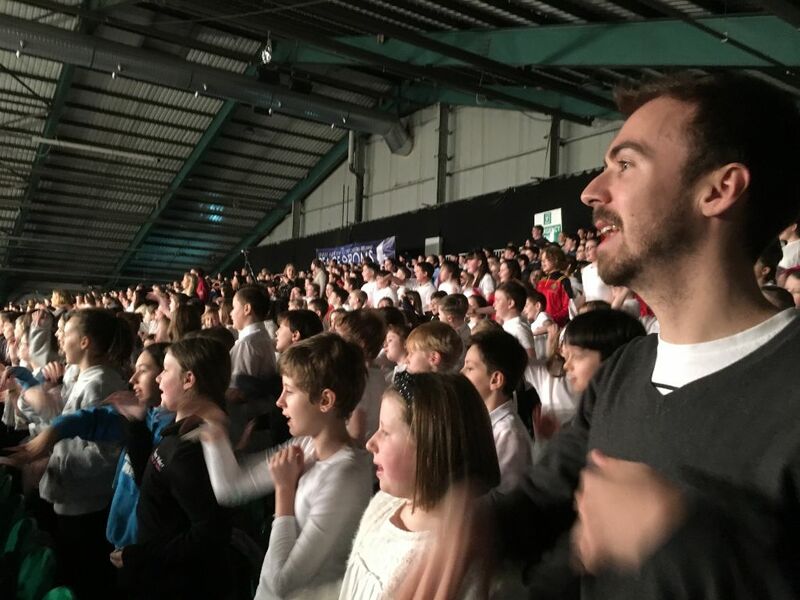 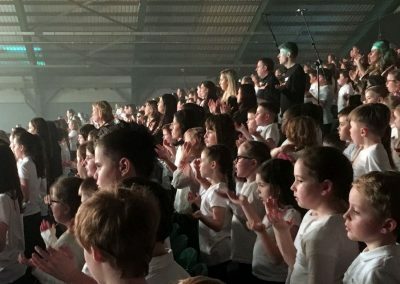 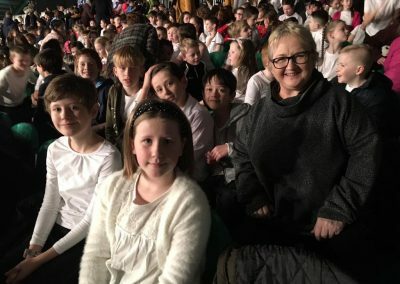 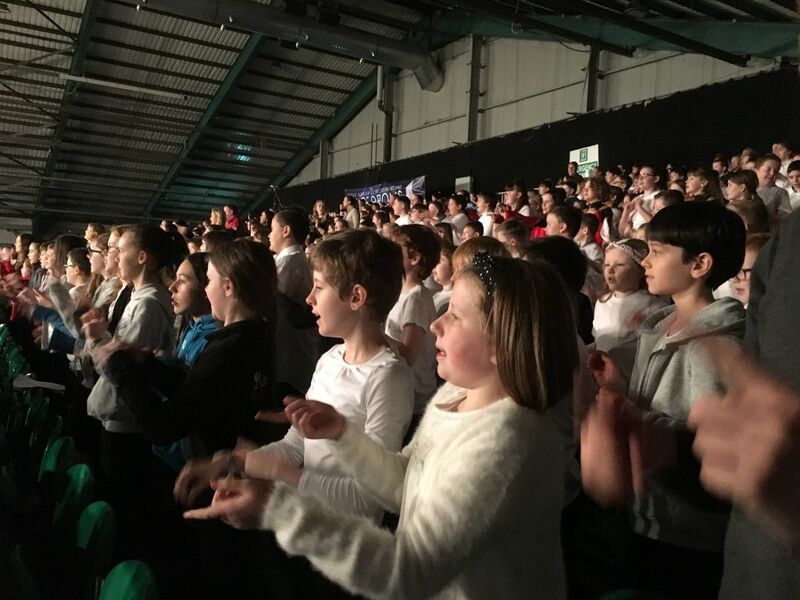 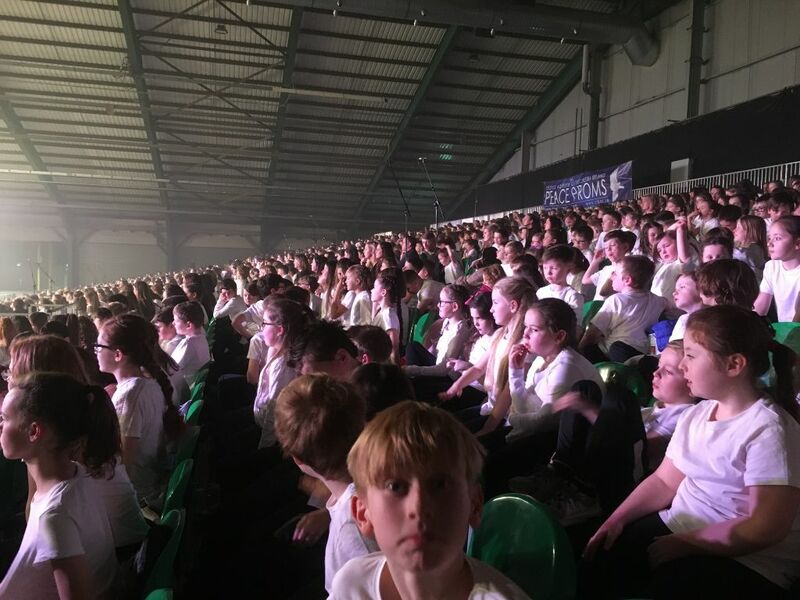 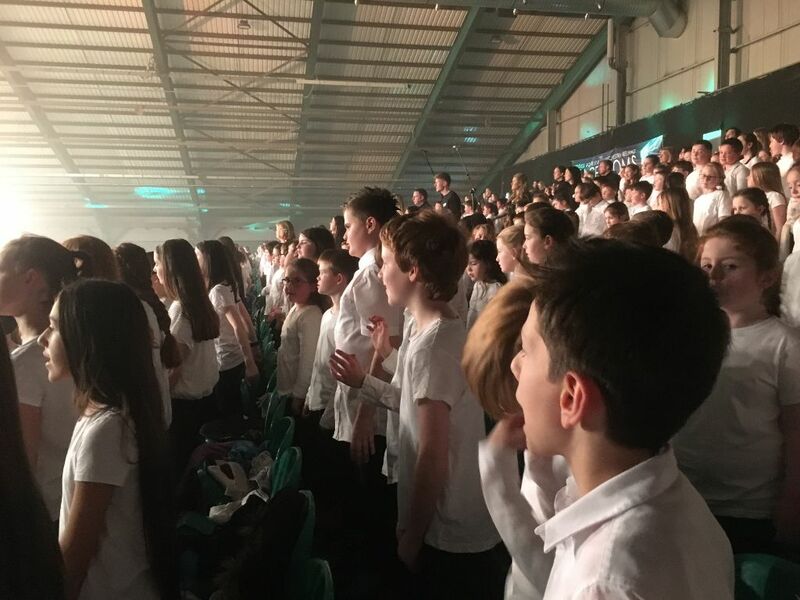 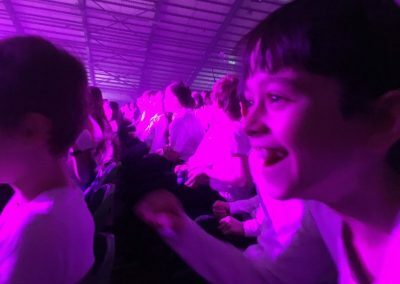 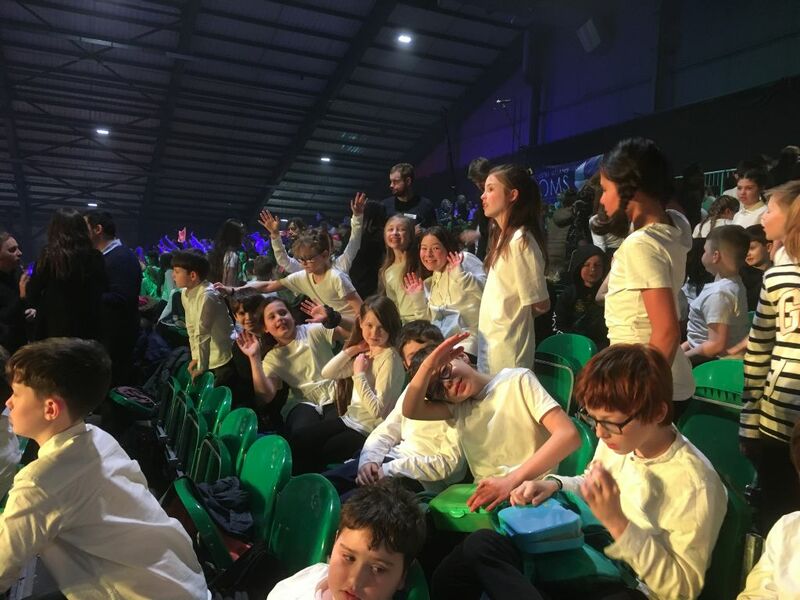 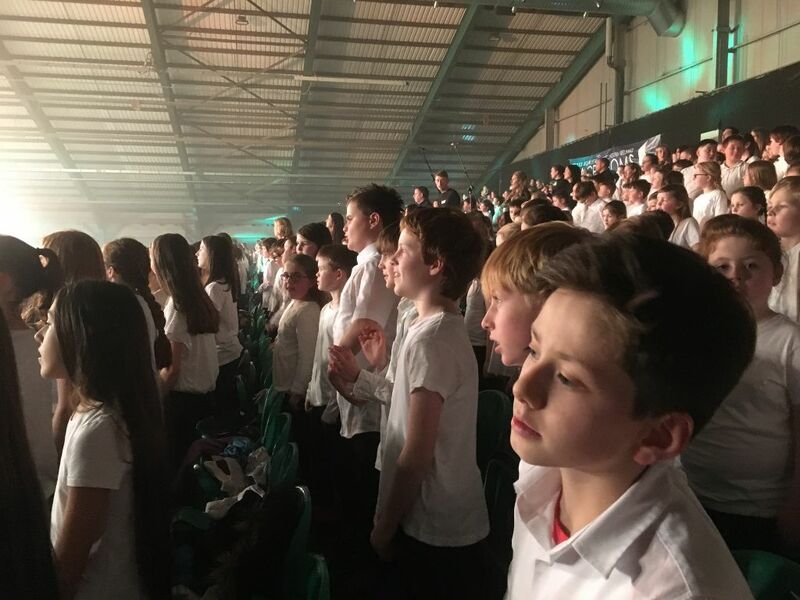 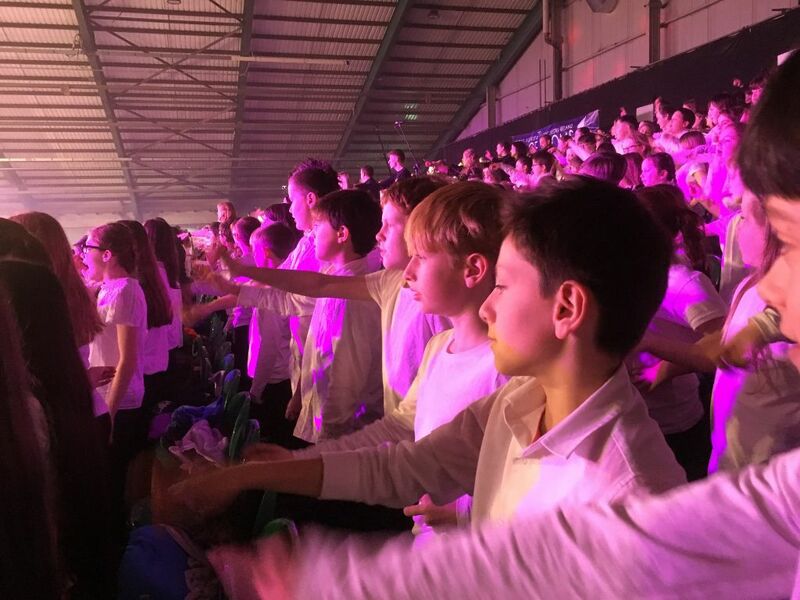 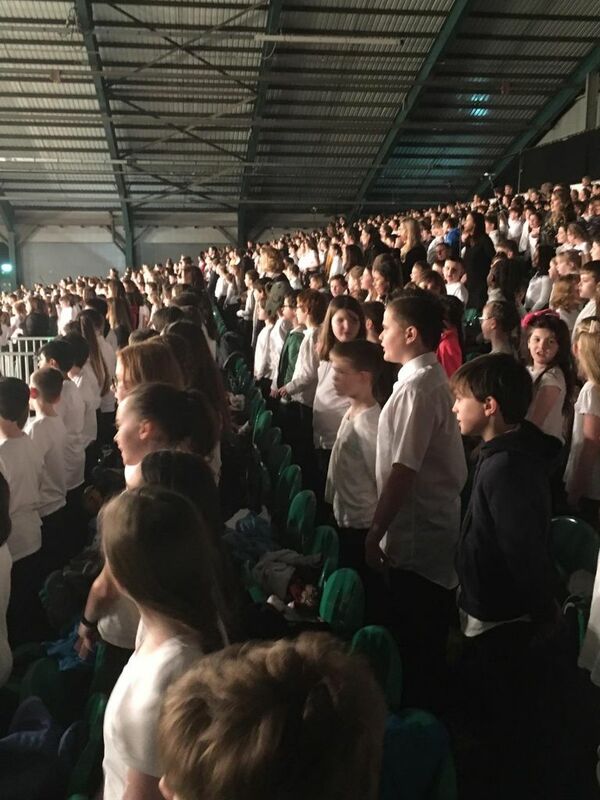 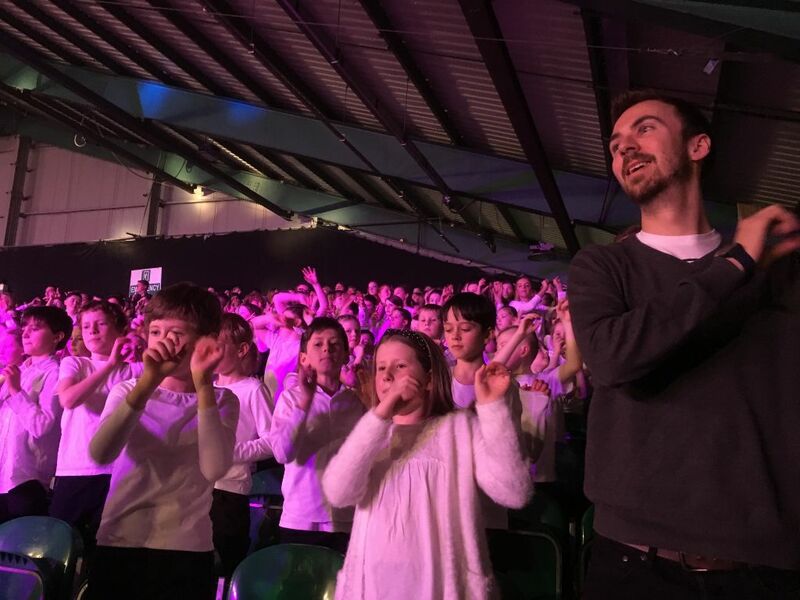 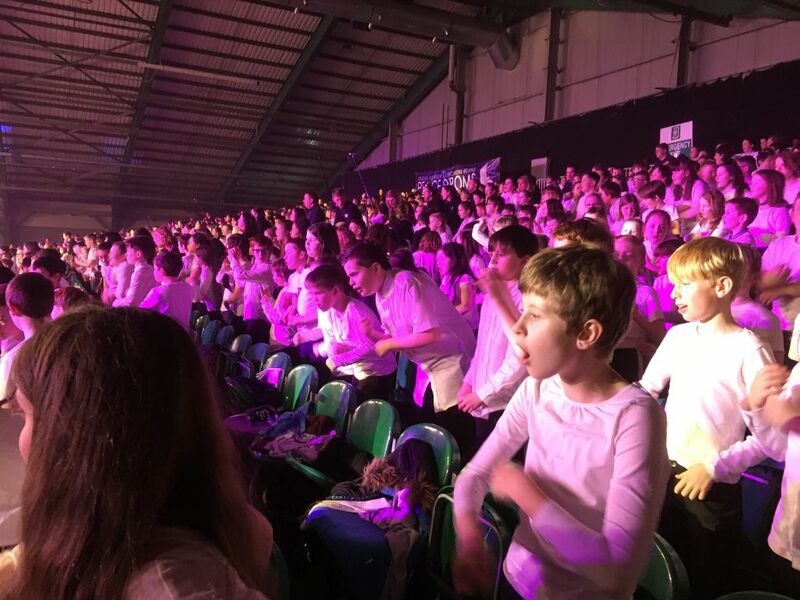 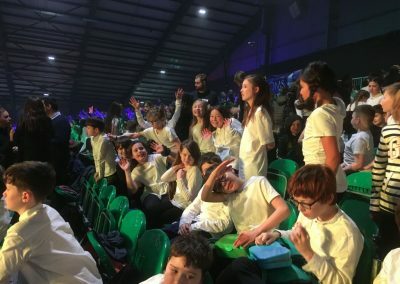 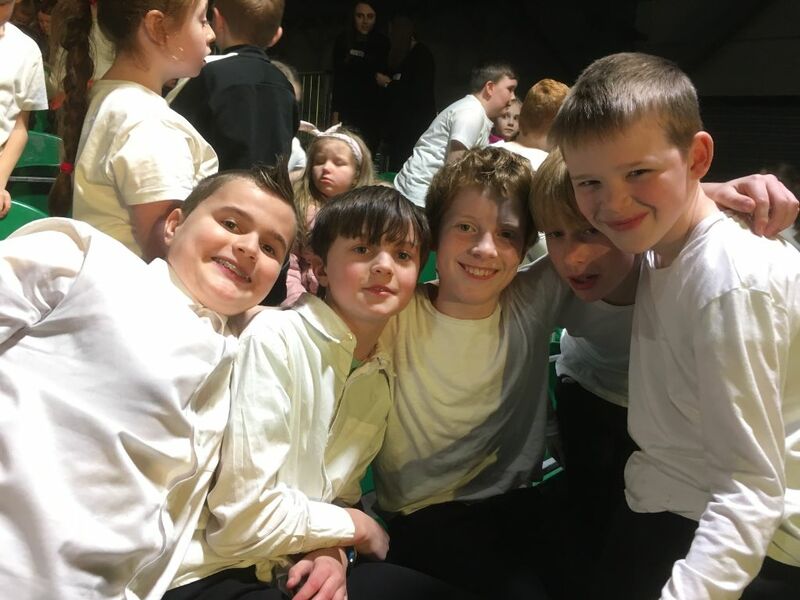 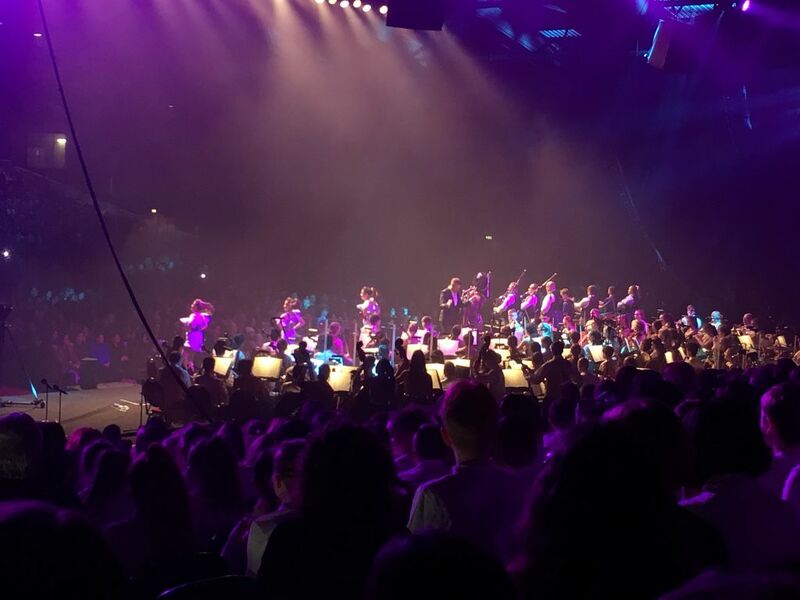 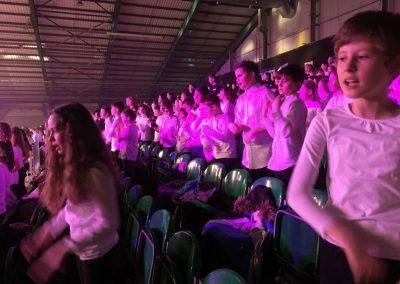 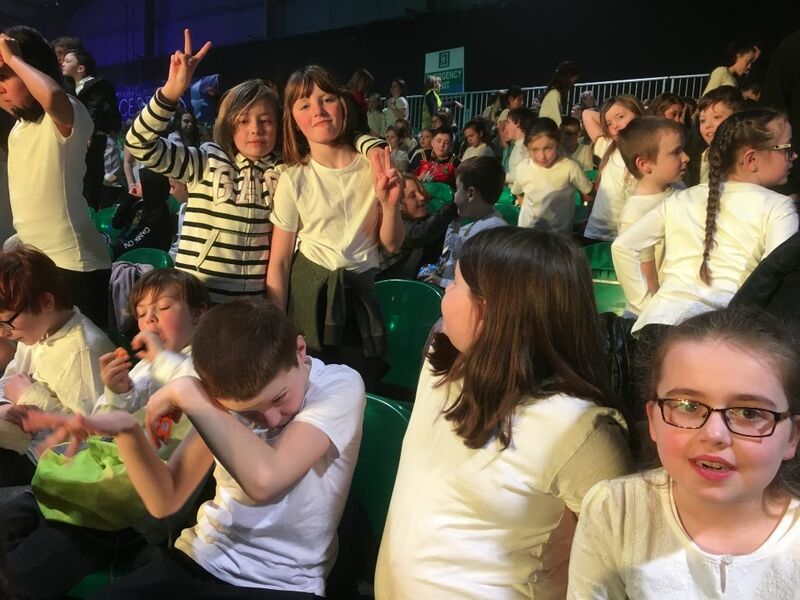 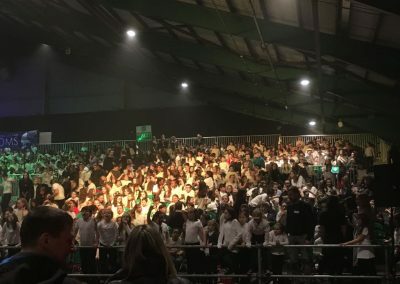 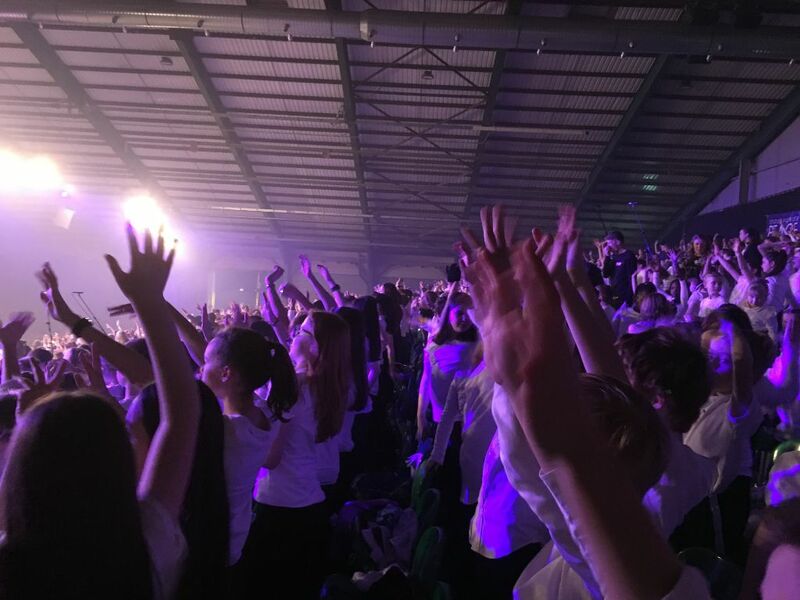 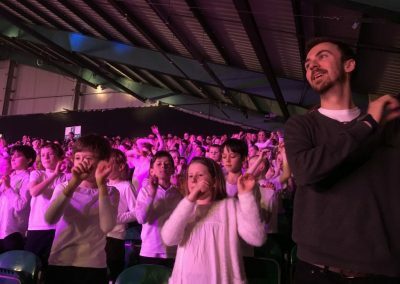 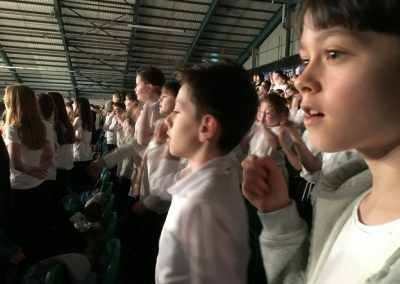 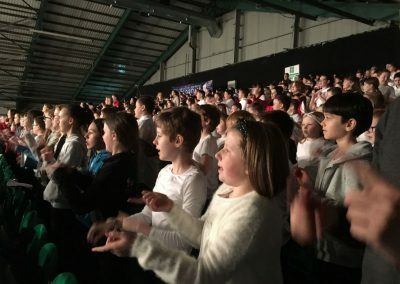 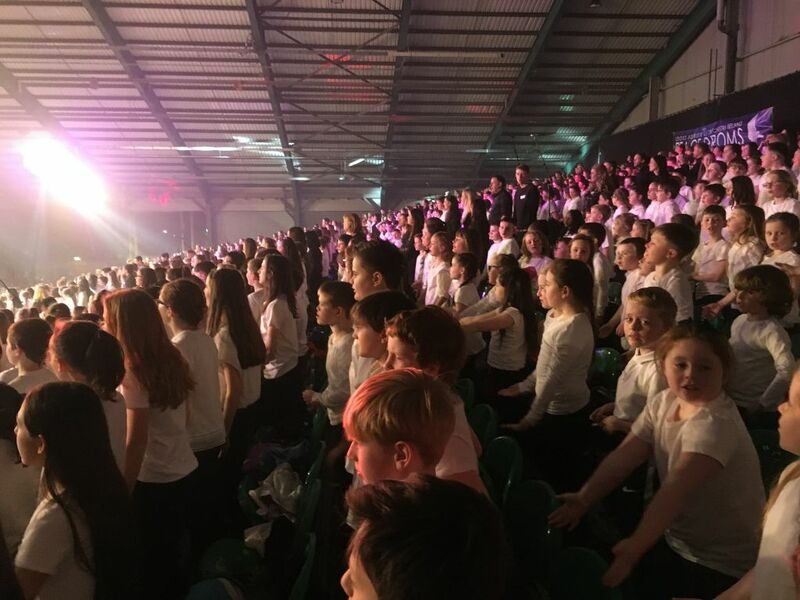 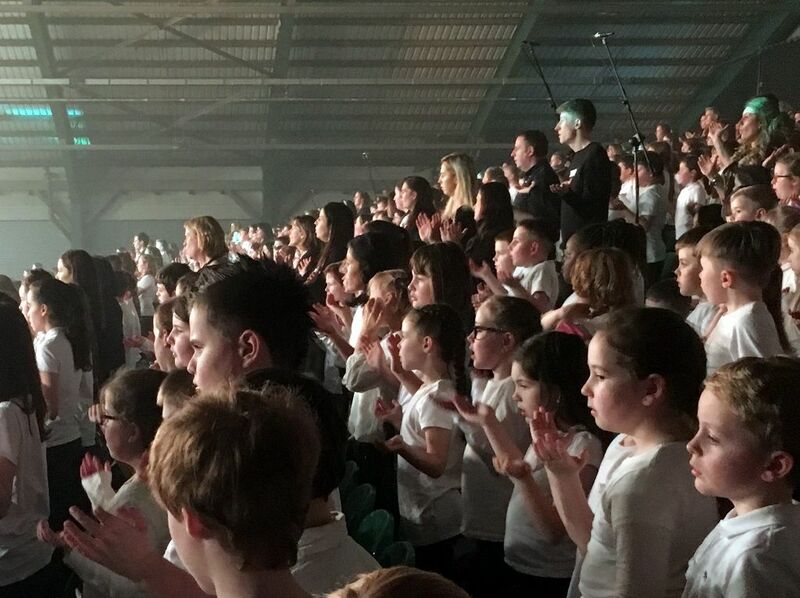 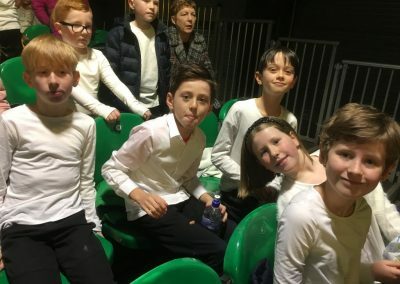 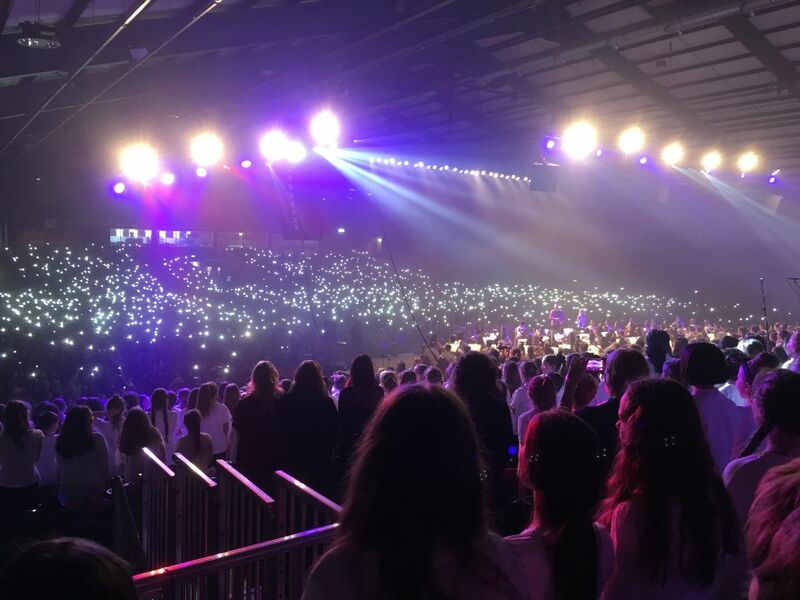 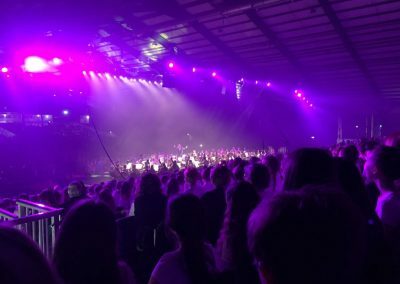 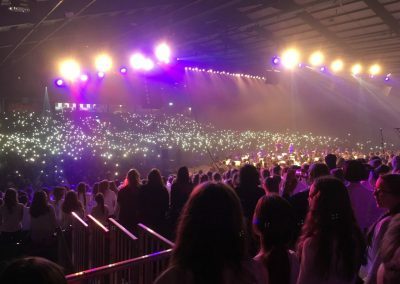 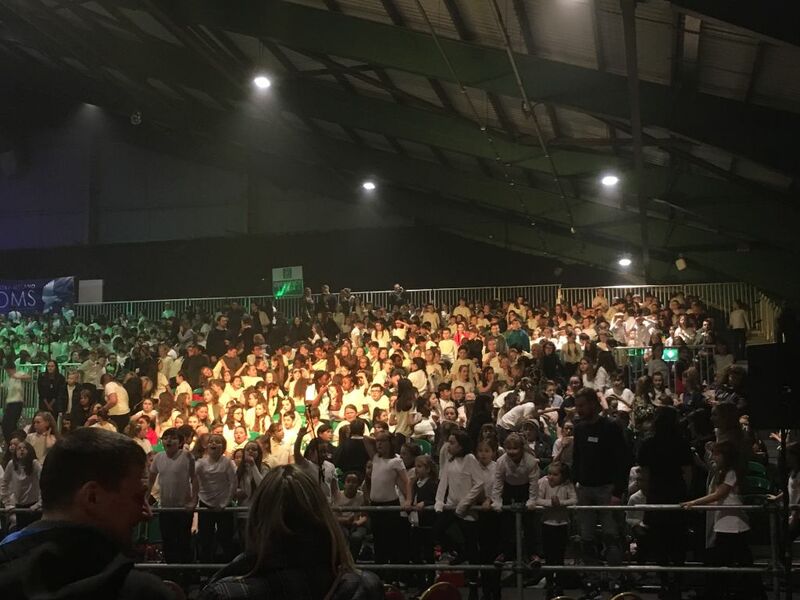 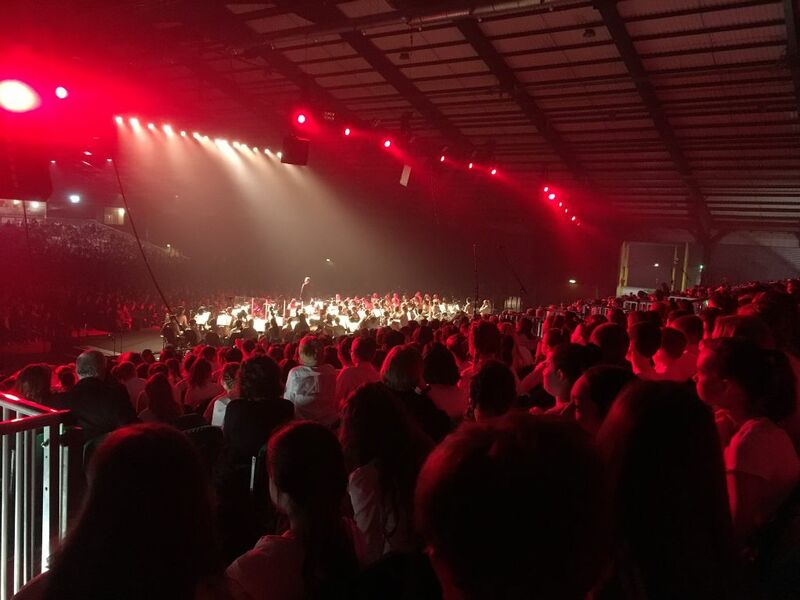 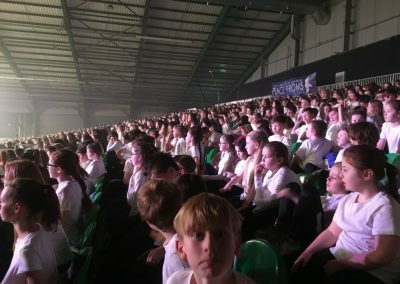 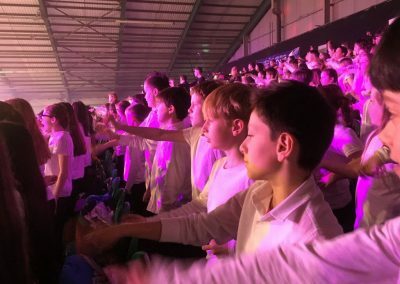 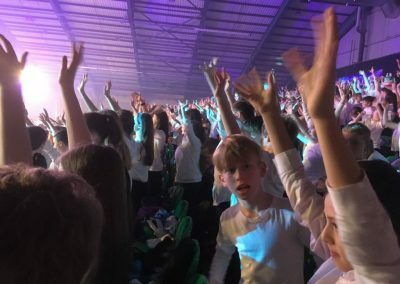 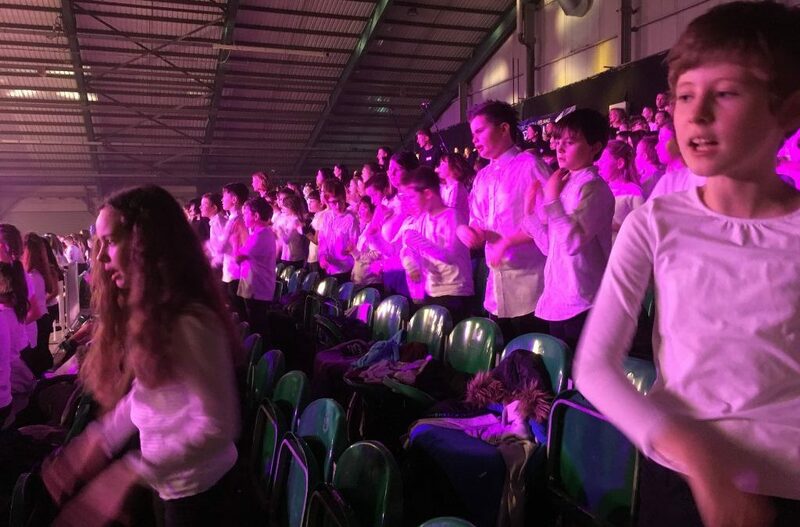 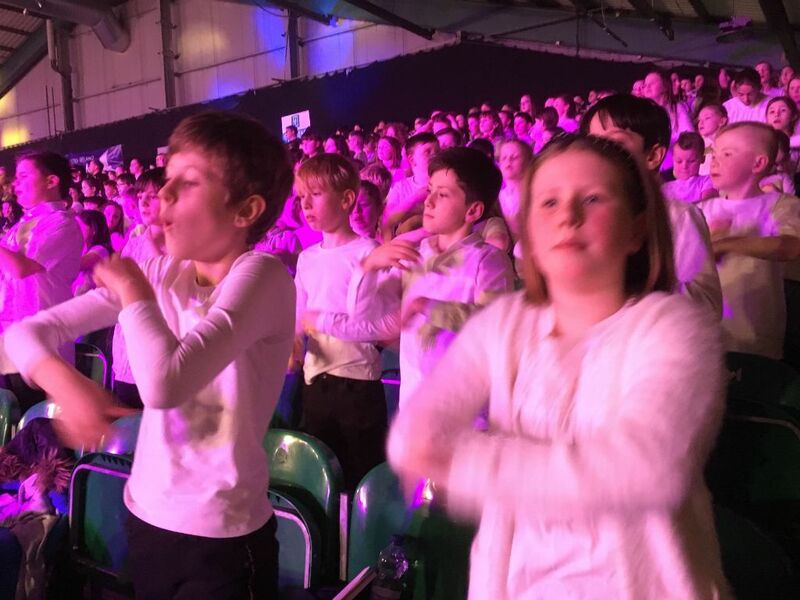 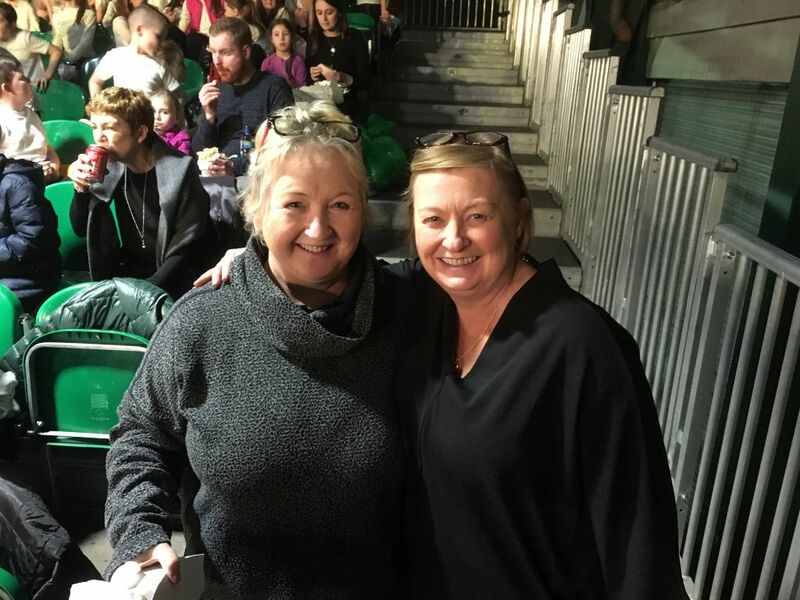 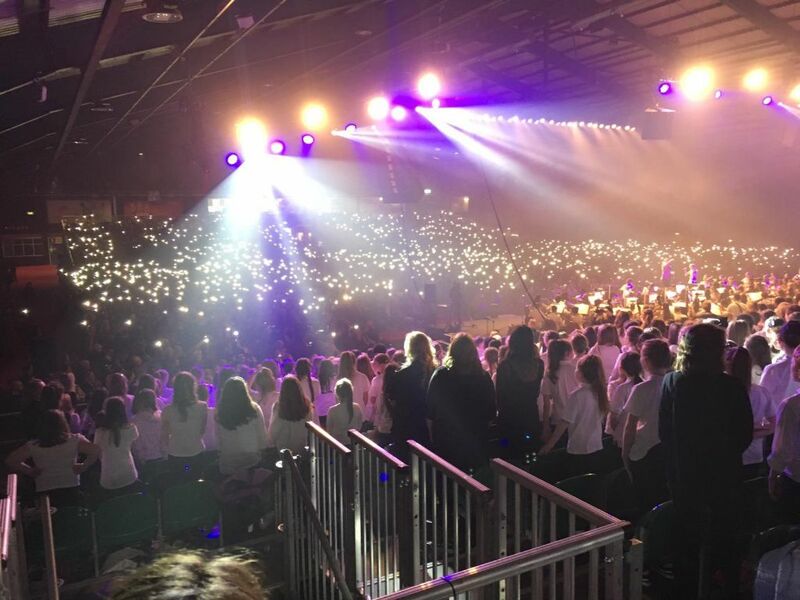 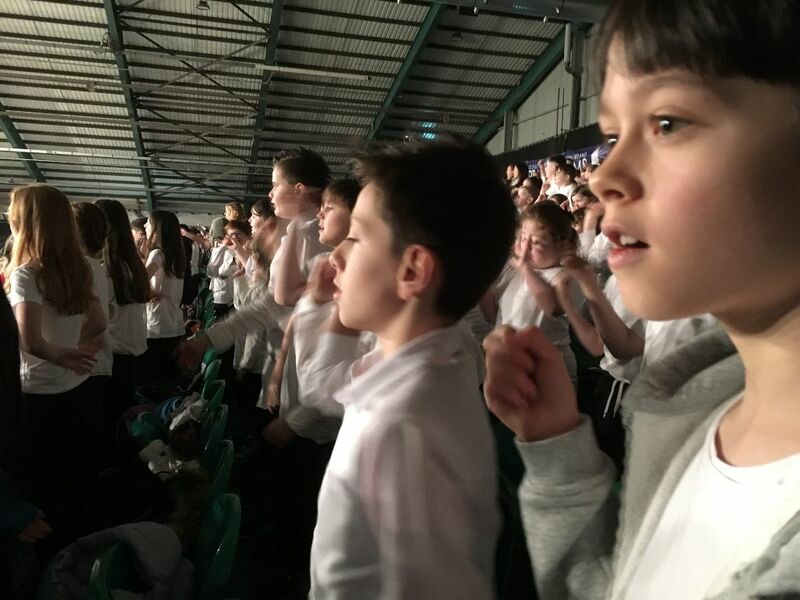 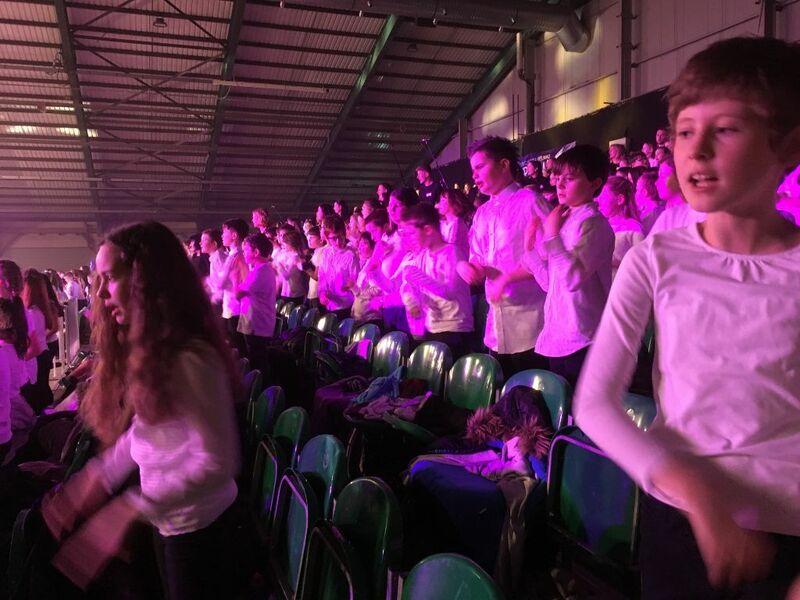 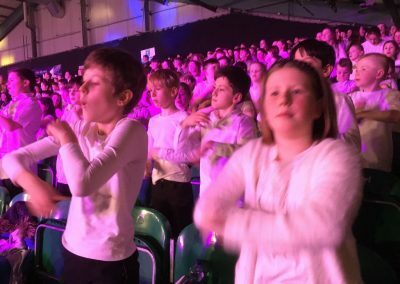 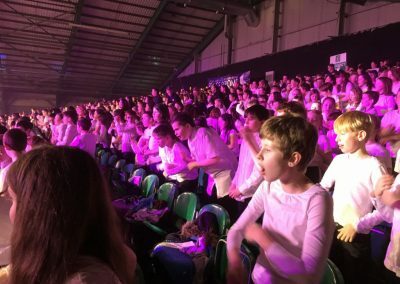 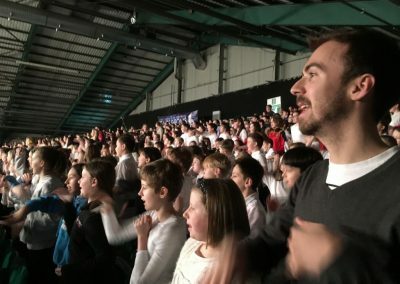 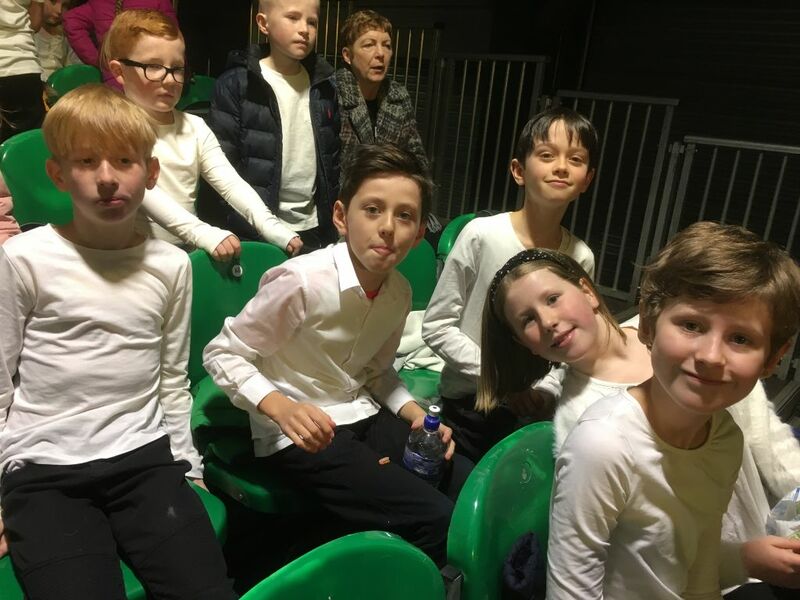 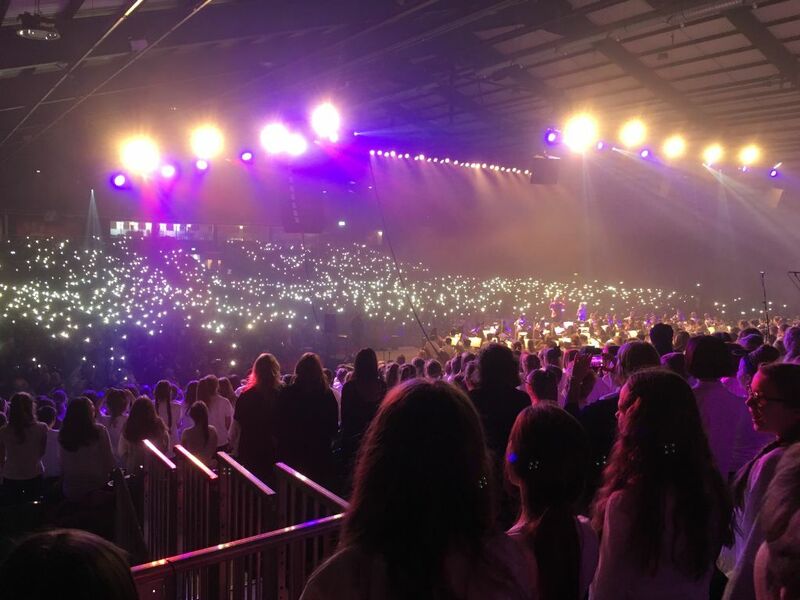 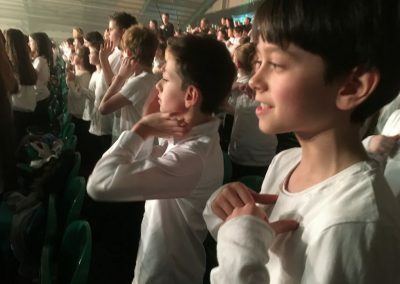 Report on Peace Proms 2019 by A.T. 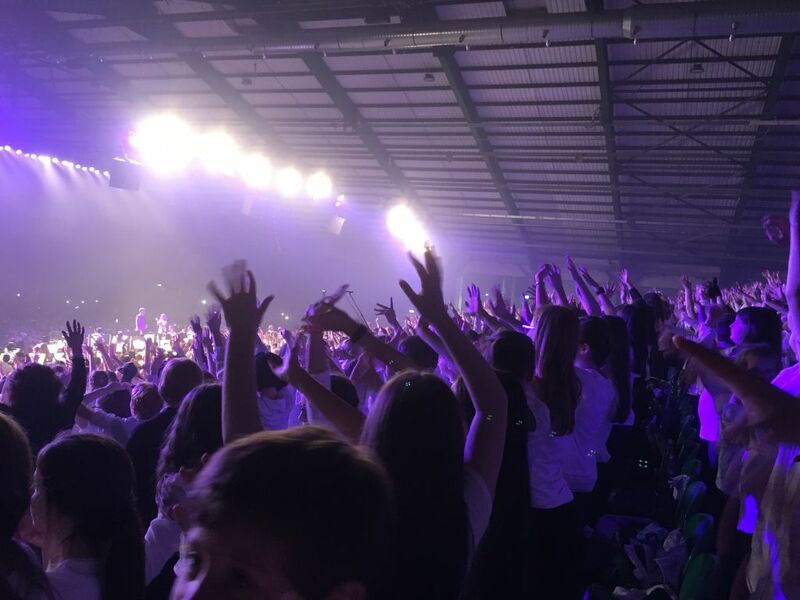 The crowd was going wild!! 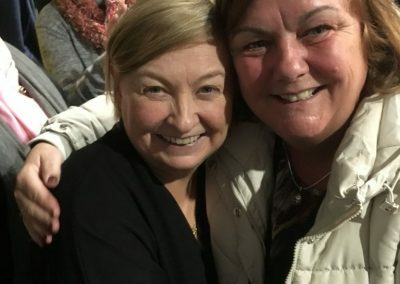 (for their children) and the concert hadn’t even started yet! 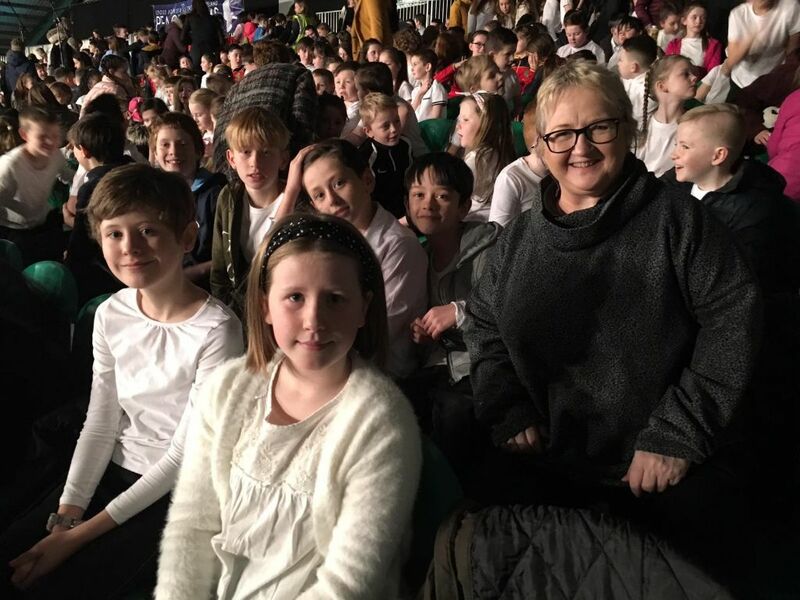 We were with Darren, Fiona (our choir teacher, thank you Fiona) and Una. 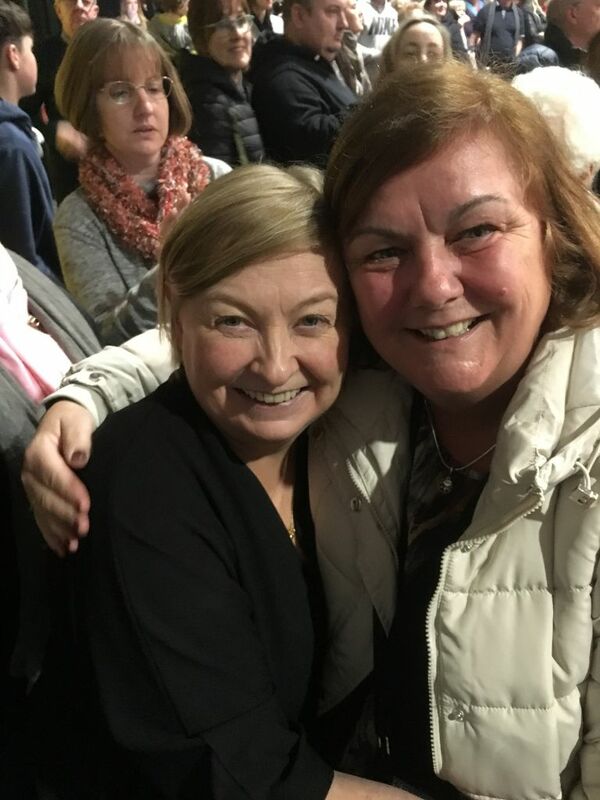 We had started out at the school at 10:30 on a Saturday Morning! 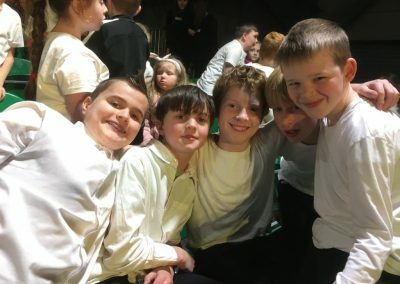 Before it started we all went to the loo. 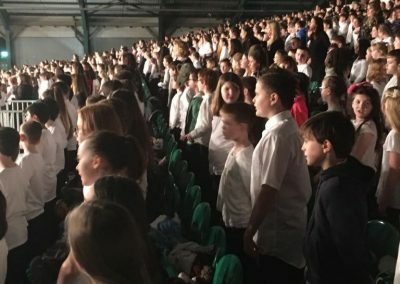 Sadly, there was a long queue for the Girl’s toilets. I (Alice) didn’t mind using the Boy’s toilets, but all the other girls simply screamed! I went in, what a yucksome place! 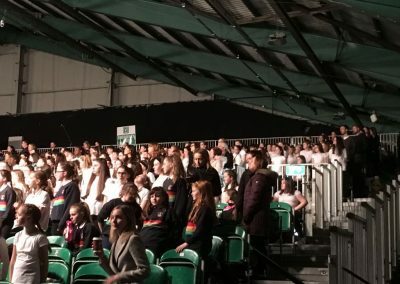 But I went and came out. 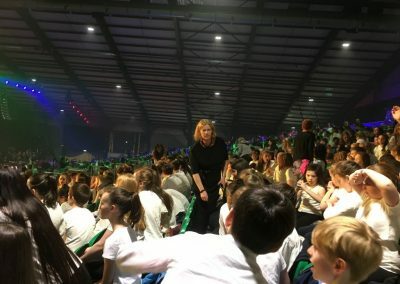 Lilah said it was like I was a spy. 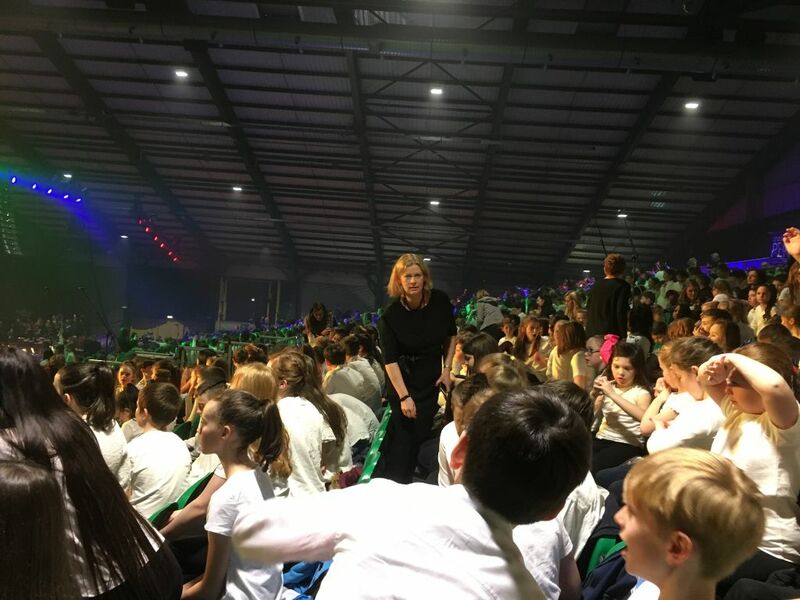 Ooh, concert starting! 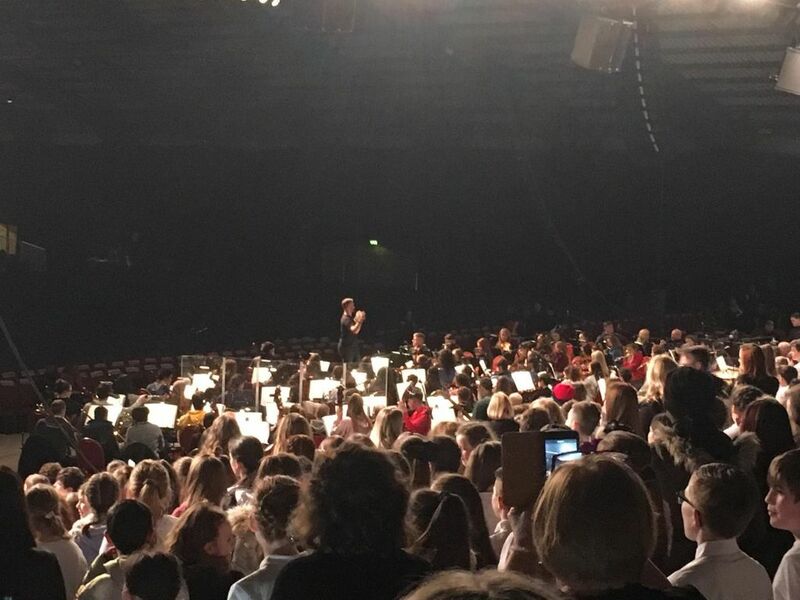 There are so many parents while the orchestra arrive. 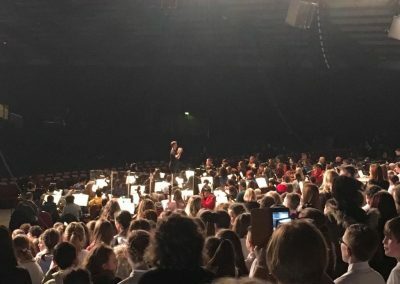 They all check their instruments. 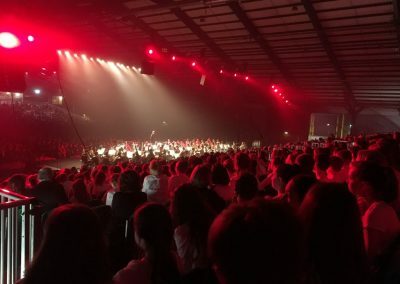 I can hear the guitar. I can barely see my parents! It’s all very exciting! 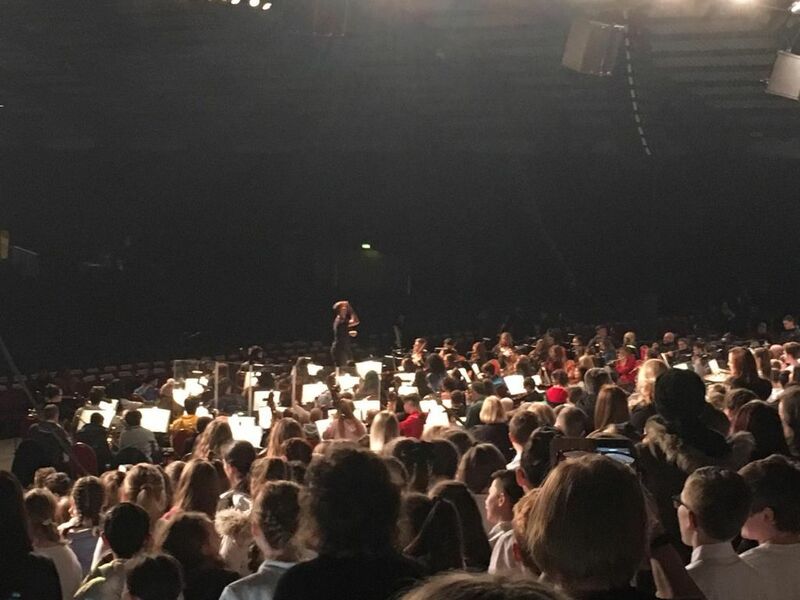 It’s 2:11, it will end at 4:30. 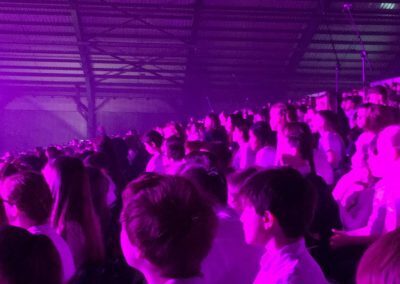 About … oh…it’s too dark! 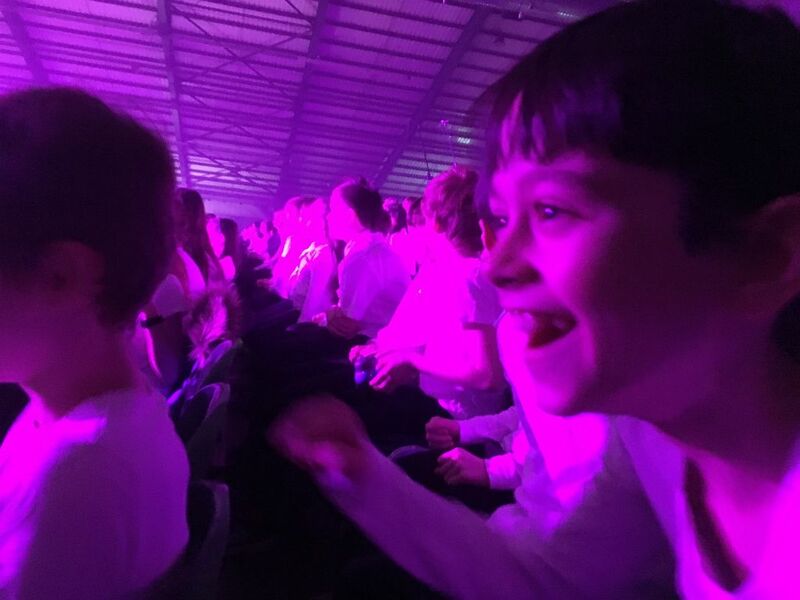 Youch, it’s loud. 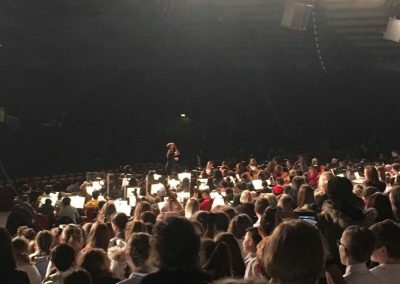 It’s begun, the orchestra has just played! 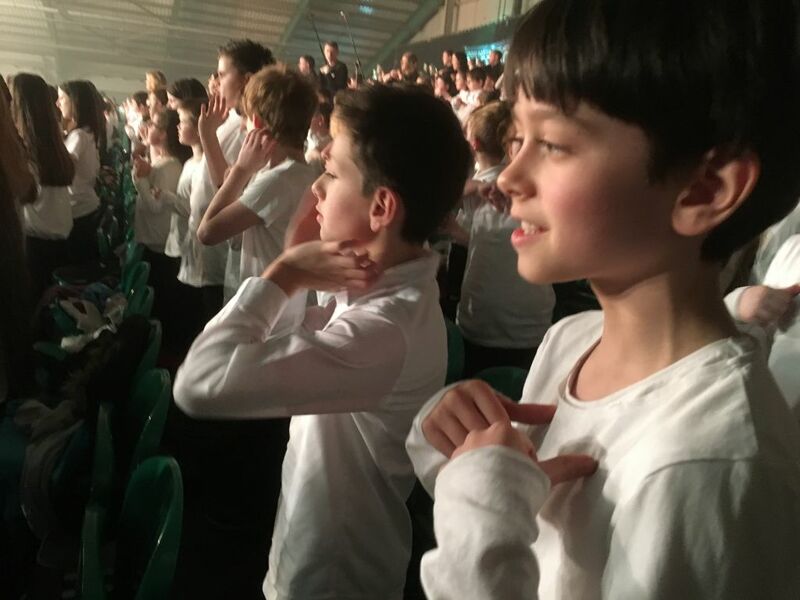 We sing the Matilda Medley first. 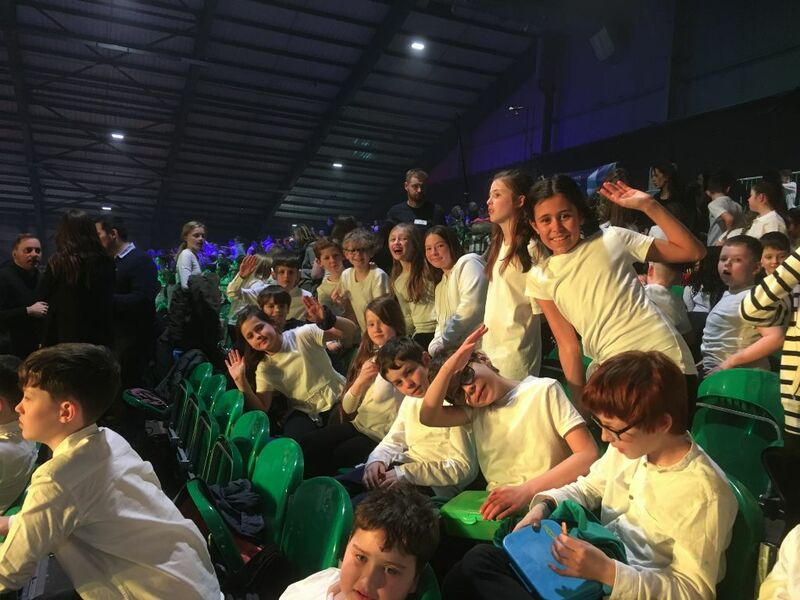 The second half of the concert starts with The Greatest Showman medley, we do a great job. 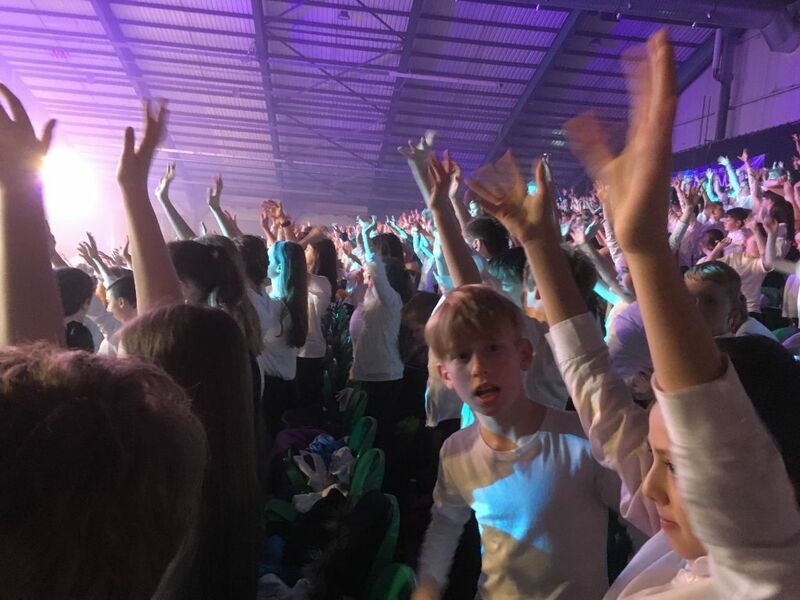 It is 3:59 and we just did I sing out. It’s really cool seeing all the phones on. Now a woman with red hair is singing. 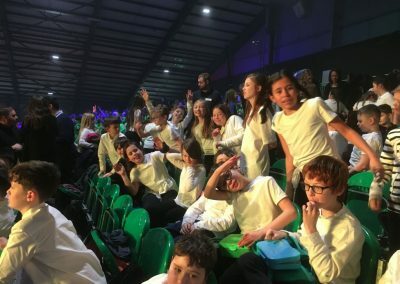 I think Pop Medley is next for us, cool! So the concert ended after a few more things. It was really fun! 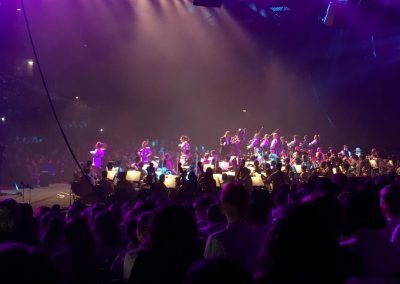 And, Darren gave us no homework on Monday! 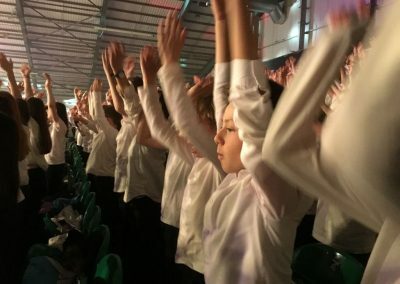 Woo, hoo!